Candidates who are looking for MP Power Generation Company Ltd Jobs, here is a good news for you. MPPGENCO has released notification of 209 Apprentice Trainee Jobs. Those candidates who are interested in MPPGCL Recruitment 2018 can apply prescribed application form before the last date. Closing date for submitting an application form for MPPGCL Apprentice Vacancy is 31.12.2018. Madhya Pradesh Power Generation Company Limited is inviting application for recruiting candidates on MPPGCL Jobs 2018. Candidates who are searching Jobs in Madhya Pradesh State can fill an application form for MPPGCL Betul Vacancy 2018. Registration for Apprentice jobs has been started. For more information about MP Power Generation Company Vacancy like Age Limit, Pay scale etc. check given below details. 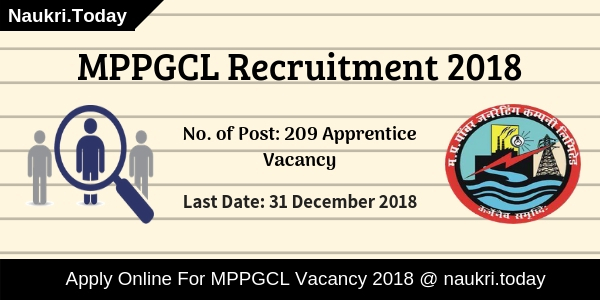 Fresh Update as on 19.12.2018: Hello Friends, MPPGCL Recruitment 2018 is available for 209 Apprentice Vacancies. Interested and eligible applicants may fill up application form MPPGCL Jobs before the last date. For further more details participants should read this article carefully. Fresh Update as on 13.12.2018: MPPGCL Recruitment is available for 209 Apprentice Vacancies. Interested applicants may check here qualification, age, and application fee before applying. Eligible participants may apply online for MPPGCL Vacancy 2018 from a link given here. Candidates should stay connected with us for more updates. How I Fill Application Form For Betul MPPGCL Recruitment 2018 | MPPGENCO Apprentice Trainee Jobs? What are the Important Dates for MPPGCL Recruitment 2018? What is the Selection Process for MPPGCL Vacancy 2018? How I Fill Application form For Chachai MPPGCL Recruitment 2017 @ mppgenco.nic.in ? Participants who are interested in Madhya Pradesh PGCL Jobs may check here eligibility criteria before applying. Applicants may fill up their application form carefully otherwise their form will be rejected. Here we provided you links to download MPPGCL Notification 2018. Candidates should have done Graduation/ITI Course in respective Trade from recognized Institute for MPPGCL Apprentice Jobs 2018. Candidates who have Engineering /Technology Degree is eligible for Technical Apprentice Posts for MPPGCL Sarni Recruitment 2018. For further more details read official MPPGCL Apprentice Notification carefully. Minimum age of the candidates for MPPGCL Recruitment 2018 should be 18 years. Age relaxation for MPPGCL Sarni Vacancy is applicable as per Department rules & regulation. 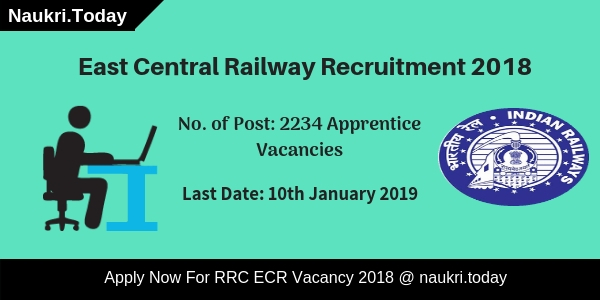 Here we provided you links to download Madhya Pradesh PGCL Jobs 2018 notification. Selected applicants should be paid stipend during Apprenticeship Training for MPPGCL Jobs 2018. You can check pay band details either from the table given here or from mppgenco.nic.in notification. There is no need to pay any Examination fee for applying Application form For MPPGCL Recruitment 2018.For further more information applicants should read official notification carefully from a link given here. Interested candidates may apply online for Madhya Pradesh PGCL Vacancy 2018 before the last date which is 31.12.2018. Selection of the qualified candidates for MPPGCL Apprentice Recruitment 2018 will be based on Merit List. Merit list of candidates will prepare on the basis of qualification Marks. First of all candidates log on to the official website www.mppgenco.nic.in. Click On Career Section & Now click on official MPPPGCL Betul Vacancy Notification link. Then click on MPPGCL Vacancy Application Form. Fill all the details in form without any error. Attach photo & required documents with application form. Conclusion: Madhya Pradesh Power Generation Company Limited has issued notification for 209 Apprentice Vacancies. Interested and Eligible Applicants may apply online for MPPGCL Recruitment 2018 from links given here. MPPGCL Recruitment 2018 – Hello Friends, Do you know Madhya Pradesh Power Generating Company Limited has published notification of 100 Plant Assistant (ITI) Trainee Post. Candidates who are interested in MPPGCL Plant Assistant Trainee Jobs 2018 should apply now. Before applying applicants may check eligibility criteria, age Limit and selection process for MPPGCL Vacancy 2018. Online Registration for MPPGCL Jobs 2018 will be started from 24 September 2018. Aspirants should fill up their application form before or on 23 October 2018. Here we gave you links to download Official MPPGCL Notification 2018. Madhya Pradesh Power Generating Company LTD is going to conduct examination for appointing Plant Assistant Trainee. Applicants should apply online before the last date has passed. Candidates should check the selection process and application Fee for Madhya Pradesh PGCL Recruitment 2018. Participants must read this article carefully for more detailed information about MPPGCL Bharti 2018. Applicants should check here qualification required for MPPGCL Vacancy 2018. This table shows you a minimum percentage that candidates will need to apply for Madhya Pradesh PGCL Jobs 2018. For Furthermore information candidates should consult to official MPPGCL Notification 2018. Applicants may download their Madhya Pradesh PGCL Notification 2018 from links given here. Minimum age is 18 years for Madhya Pradesh PGCL Recruitment 2018. For maximum age candidates must check official Notification. MPPGCL set maximum age according to government rule. Upper age relaxation is given to Schedule Caste/ Schedule Tribe and OBC Category applicants of only Madhya Pradesh. For further more information read official MPPGCL Notification carefully. Madhya Pradesh PGCL should pay salary to the selected participants on the basis of department rule. Applicants must start preparing for the MPPGCL Exam. Firstly candidates should be appointed on Training period in which aspirants stipend is different from permanent salary. Applicants who perform well in Training Period will be appointed as permanent employ. Participants need to clear written test for MPPGCL Recruitment 2018. Madhya Pradesh PGCL is organize written examination for selecting candidates for Plant Assistant Trainee Post. Aspirants must check Madhya Pradesh PGCL Notification 2018 for more details. Candidates of General and OBC Category should pay Rs. 1000 /- for application Fee for MPPGCL Plant Assistant Trainee Jobs 2018. SC /ST applicants will pay Rs. 600/- as an application fee. Applicants should pay their examination fee on the website of MP Online. Aspirants can pay their application fee through online modes such as Internet Banking, Credit card, and Debit card. Participants who register for Advt. 2240 (Dates on 04.06.2018) need not pay any application fee for MPPGCL Bharti 2018. Participants must fill up their application form without waiting for the Last date. Here we available to links which help you to download Madhya Pradesh PGCL Notification 2018. After filling up application form aspirants should pay their Application Fee through MP Online Website. Follow these steps to Apply for MPPGCL Recruitment 2018. Now applicants should search for MPPCGL Notification Section. After that applicants may read the whole Advt carefully. Eligible participants can apply online for MPPGCL Plant Assistant Trainee Jobs 2018. After filling up application form aspirants should pay Fee. Now candidates must take print out of application form and submit it. Applicants may also note down ID Password and Registration number for feature use. Madhya Pradesh Power Generating Company Limited has announced recruitment for filling up 50 Assistant Engineer Vacancies. Apply online for MPPGCL Recruitment 2018. Interested and eligible candidates can fill the online form from 07.02.2018. Participants can apply before the last date 26.02.2018 extended till 26.03.2018. Here you can get online registration form and all recruitment information. You can apply online from Here or official portal. More details regarding MPPGCL Vacancy like eligibility criteria, selection process, application fees is mention below. Madhya Pradesh PGCL is inviting online application for 50 Assistant Engineer jobs. Applicants who are waiting for engineer vacancy, this is great opportunity for them. Contenders can fill the MPPGCL Recruitment online form before the last date. Applicants who are qualified GATE 2017 can fill the form. Here our team published all information regarding MPPGCL AE Jobs. Madhya Pradesh Power General Company Limited time to time published various recruitment notification for applicants who are searching jobs in the state. Applicants should check our site daily basis or official site to update latest MPPGENCO Recruitment notification. Applicants who are going to apply for Madhya Pradesh PGCL Recruitment 2018 should check own eligibility. Applicants must check they fulfil or not eligibility conditions. Participants who are qualified GATE 2017 is eligible for filing form for MPPGCL AE Vacancies. You should check Educational Qualification, Age Limit and others to ensure your eligibility. Details regarding eligibility conditions is mentioned below. Applicants should have full time regular Degree in Mechanical/ Electrical/ Electronics & Instrumentation / Electronic & Telecommunication/ Electrical & Electronics from recognized university from UGC/AICTE for MPPGCL AE Recruitment 2018. Furthermore regarding MPPGENCO Vacancy you should check official notification. Age Limit Criteria should be made by department as per rules of Madhya Pradesh government. Applicants should check their age limit on full MPPGENCO Jobs official notification. Age Limit Criteria and Relaxation mentioned by department is available on site. Applicants selection will be made on the basis of GATE 2017. Applicants who are qualified in GATE Exam are selected according to merit basis. Through GATE Score Card valid for submission of online application form. MPPGCL Vacancy final Selection will get made according to candidate performance in GATE Examination and Interview. Unreserved and OBC Candidates should required to pay Rs. 1118/- as an application fees. MPPGENCO Recruitment application fees is not refundable. For more you should read MPSEB Recruitment Notification. Applicants who are searching jobs of Engineering, this is a great opportunity for those candidates. Interested and eligible candidates should fill online application form before the last date. MPPGCL Assistant Engineer Job Online application form is available on official portal. You can direct fill the application form through direct link given below. Applicants should also follow given steps to fill MPPGENCO Job Online Form. First all applicants should go to state government official portal www.mponline.gov.in. Read official notification carefully, where mentioned all details regarding recruitment. Then Read portals instructions before apply. Registered on portal by filling required details. Click on the Online Application Form and Then Select the department. Click on MPPGCL Assistant Engineer Vacancy. Then Fill all required details such as personal and educational. Then upload your signature and photograph. You should also submit score card of GATE Exam. Check MPPGCL Jobs application form and then submit it. You can also apply for MPPGENCO Recruitment through given below link. Conclusion : Madhya Pradesh Power Generating Company Limited has released recruitment notification for filling up 50 Assistant Engineer (Executive Trainee) Jobs. MPPGCL Recruitment 2018 online registration form is available on official portal from 07.02.2018. Last date of apply online is 26.02.2018 extended till 26.03.2018. 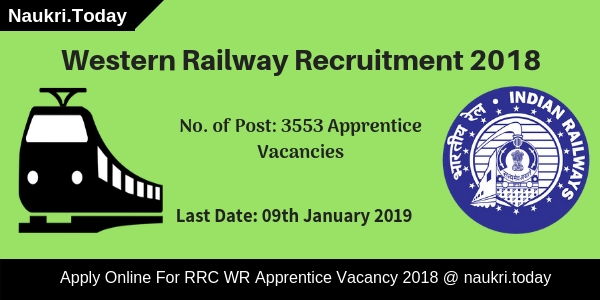 Madhya Pradesh Power Generating Company Limited has released a recruitment notification of 169 Apprentice Jobs. Those applicants who are looking for MPPGENCO Jobs can fill application form for MPPGCL Recruitment 2017 From here. The mode for applying application is offline mode. Closing date for submit application form for MPPGCL Apprentice Jobs is 07.04.2017. MPPGENCO Chachai is inviting offline application for recruiting candidates on 169 MP Power Generating Company apprentice Jobs. this is a great opportunity for all the candidates who are waiting for Jobs in Madhya Pradesh state. Candidates can fill application form for MPPGCL Vacancy till closing date of submit of application form. For more information about MPPGENCO Recruitment you can check given below details. Closing date for submit MPPENCO Boiler Attendant Jobs Application form : 07.04.2017. MPPGENCO Chachai Recruitment 2017 Education Qualification : Candidates who are going to fill application form for MPPGCL Apprentice Vacancy should have passed 10th standard/ ITI in respective trade from any recognized University/ Institute. Age Limit for MPPGCL Chachai Jobs 2017 : Minimum age of the candidates for MPPGCL Recruitment 2017 should be 14 years & Maximum age must be 25 years. Age relaxation will applicable as per Department rules & regulation for MPPGCL Vacancy 2017. Application Fee For MPPGCL Boiler Attendant Jobs 2017 : There is no need to pay any application fee for filling up MPPGCL Jobs application Form. Selection Method For Madhya Pradesh PGCL Vacancy 2017 : Selection of the candidates for MPPGCL Recruitment 2017 will based on Merit Lists. Merit List will made on the basis of Qualification Marks (ITI Trade). For more information about Shortlisted Candidates list, which will be display on official website. Now click on official MPPGCL Vacancy Notification link. Take print out of it & fill all required in form without any mistake. Now attach your passport Size Photo & Other required document with application form. Then send the application on correct postal address. Chachai MPPGCL Recruitment 2017 For 169 Apprentice Jobs. Candidates can apply application form for MPPGENCO Recruitment 2017 on or before the last date 07.04.2017.